Forty grand for a Passat. That sounds a lot doesn't it? In fairness, you don't have to pay that much for the plug-in hybrid GTE, with prices starting at close to GBP36,000 before the government grant. The top of the line Advance trim level, though, costs just over GBP40,000, making this the priciest Passat yet. 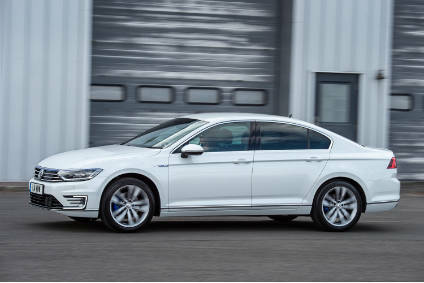 The GTE is the newest variant in the Passat range and it comes in both saloon and estate forms. The powertrain consists of the Volkswagen Group's 1.4-litre TSI turbocharged four-cylinder petrol engine, combined with one electric motor and a six-speed DSG (dual clutch) transmission. Combined power is 160kW or 218PS and maximum torque is 400Nm. The motor's output is 115kW or 156PS so even though this powertrain is the same as what's in the Golf GTE, the heavier Passat has a more powerful motor. Volkswagen quotes top speed as 225km/h (140mph) and 0-62mph takes 7.6 seconds. Charge the car fully and you can see as much as 31 miles on battery power but like all other PHEVs, this is somewhat reduced if you run the air conditioning or drive the car in anything less than a gentle manner. I had the GTE for a week and after plugging it in each evening, it would do around 20-25 miles before the combustion engine fired up. For many people that would be fine. As the stats above show, acceleration is better than you might be expecting from a large saloon with a 1.4-litre engine. Even with just the motor pushing you forward, acceleration is good but press hard on the throttle pedal and the engine comes alive and there is remarkably little turbo lag. The interior is a bit of a surprise, given the GTE's pricing. Hard plastics on the centre console and lower half of the door trims are not what you'd expect in a car that costs in excess of thirty five thousand pounds. VW does at least attempt to make up for that by adding a variety of unique trim materials for this variant. The GTE has blue stitching for both the steering wheel's leather cover and the DSG gear lever's gaiter, while the blue trim on the lever itself matches the colour of the strips of LED lights on all the door trims. On the outside, you'll notice blue and silver GTE badges on the bootlid, front wings and a long piece of blue trim across the front of the car, just like on the Golf GTE, and guess what colour the brake callipers are? Despite that big battery, boot space is good, though there is no spare wheel, just a puncture repair kit. Unlike many other PHEVs, in this one, there is a place for the bag containing the recharging cables, which is a compartment under the floor. In practice, you'll probably keep that bag inside the car as having to pull out any luggage to get at them isn't very convenient. Back inside, you notice three buttons to the left of the gear lever. These are marked GTE, MODE and E-MODE, giving you various choices for running the car as an EV, on stored power or with both engines going. Just like in a Prius, you can shift the lever into B (Brake) for the effect of engine braking and this feeds energy into the battery. The instruments are virtual and consist of two big dials: to the left is a rev counter which changes to an EV meter when in that mode and on the right a speedo which reads to 160mph. You also see what percentage of your most recent trip was in so-called Zero Emission mode. For the weight of the car (1,722kg), economy is really very good, though this of course depends on how hard you push the car. Drive with a light right foot and you won't be needing to refill the smallish 50 litre petrol tank too often - a real world MPG average will be in the mid-50s. 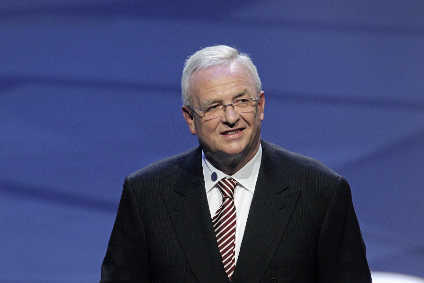 Volkswagen quotes the CO2 average as 39g/km. One of the things I liked about the GTE was noticing that when you activate the parking brake at traffic lights, the engine doesn't fires up - why does that happen in so many petrol or diesel cars with stop-start systems? There's a pleasant whirr in EV mode and the switch to the 1.4 turbo petrol is incredibly smooth: often were it not for the tachometer appearing you wouldn't realise that the TSI had been stirred into life. The GTE offers a tempting alternative to the Passat with the 190PS BiTurbo TDI, even though the purchase price is higher. If you're a company car driver, the PHEV should make more sense and of course it can do something which no diesel Passat can - offer its driver and passengers the often under rated bonus of travelling or sitting stationary in near-silence.